Exclusive Lafayette hilltop estate offers the ultimate in privacy, security, and panoramic views. Custom home on a 7.35 acre lot features large living & dining rooms with dramatic open beam ceilings. Level backyard with swimming pool, spa, and lawn perfect for entertaining and play. Updated kitchen and adjacent breakfast nook enjoy direct Mt. Diablo views. Stone double-side fireplace highlights the family room with beautiful hardwood floors. A private master bedroom suite has a balcony overlooking the pool area. Separate wing includes 3 bedrooms, 2 baths, and a laundry room, ideal for kids. Separate 5th bedroom with full bath is perfect for guest/ office or au pair suite. Don't miss huge 4-car garage with large upstairs (+-800 sf , not included in home sf) space/workshop area, and ample guest parking. As an added bonus, owned solar panels have nearly eliminated seller's electricity costs. Pool also has solar heating. 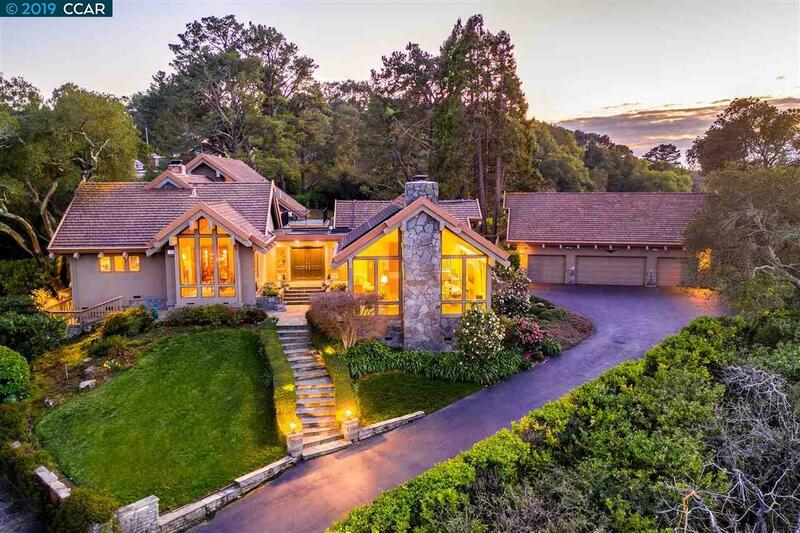 Secluded location yet close to downtown, freeway, & BART.